Группа Игоря Володина, Иллюзии. Джаз&Блюз. Купить "Группа Игоря Володина. Иллюзии"
Buy It Now for only: US 2 866,24 руб. Buy It Now for only: US 954,78 руб. Buy It Now for only: US 7 642,68 руб. Buy It Now for only: US 8 550,21 руб. 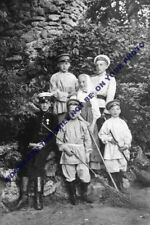 mm647 - young Prince Igor Constantinovich Romanov & siblings group - photo 6x4"
Buy It Now for only: US 173,06 руб. Buy It Now for only: US 63,06 руб. Buy It Now for only: US 1 543,55 руб.